This is from my front garden and I used only the light from the lights on the tree. Had to rest on my tripod as this was such a low angle. This is where digital comes to the fore – working in low light conditions. Quick and easy shot and enjoyed this one. The light is gorgeous in this one. very nice! 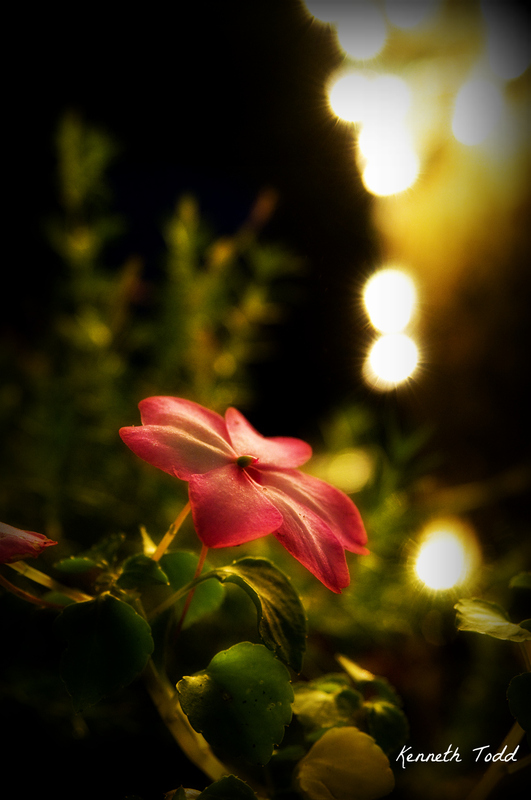 I’ve not tried to shoot a flower at night; something new to try! Great work. I love the lighting.